ST. LOUIS, MO – The Materials Technology Institute is presenting a special Middle East/North Africa Technical Advisory Council (MENA-TAC) event. MENA-TAC is a three-day event featuring a two-day In-Service FRP Training Program and a special one-day Chemical Processing Industry Roundtable to learn about materials challenges in the Middle East and North Africa. The meeting will take place April 2-4, 2019 at the Al Reem Hotel in Al Jubail, Saudi Arabia. Materials Technology Institute (MTI) is sponsoring a two-day training program on Inspection of In-Service FRP Equipment & Piping. 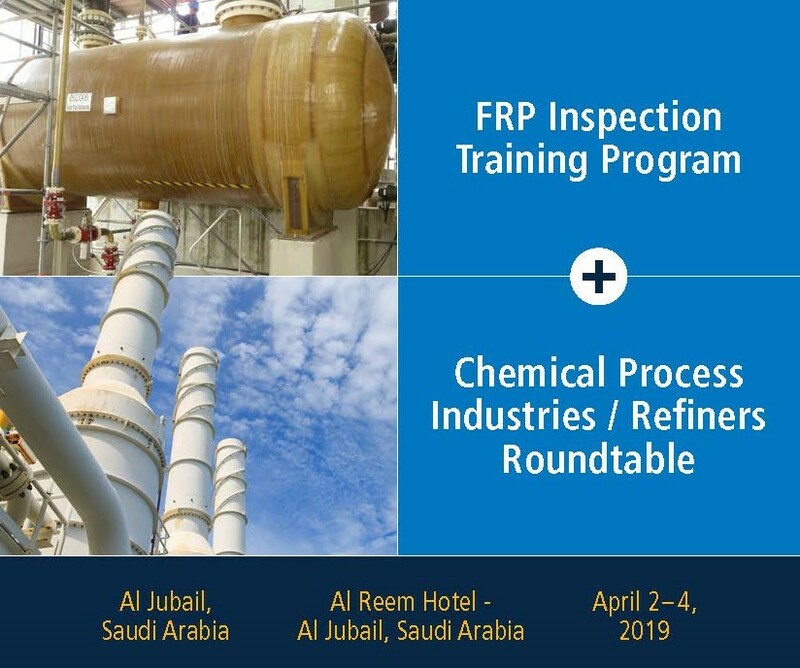 This unique program will provide a comprehensive overview of the areas that are of critical importance for evaluating the quality and conformance of plant FRP equipment and piping, as well as providing some basis around Fitness for Service. The meeting will also include a discussion on Materials Challenges within the CPI Industry.